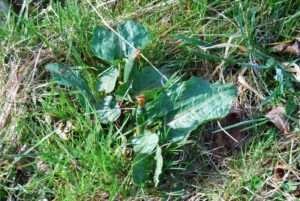 This page is your portal to modern up to date information on New Jersey’s wild plants. 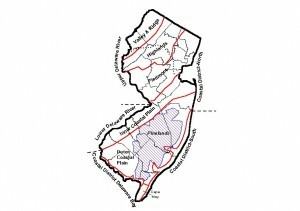 The Flora of New Jersey Project is a non-profit incorporated group of botanists and ecologists whose aim is to generate an up-to-date description for each of our species accompanied by distribution maps for each taxon present or formerly present in our state. We envision two separate products that will serve the New Jersey botanical community and the general public: an atlas and a manual. The Atlas is being developed plant by plant, with their progress chronicled by this web site and viewable under the Selected Family/Genus tab located on the upper left margin of this page. The Manual is being assembled in a similar way with the progress presented as completed taxon submission viewable under the Committee Page. Please click through the topic tabs at the top of this page to see our personnel and the progress posted to date. It is the intention of this organization to make all of this information freely available as it is generated. Please take advantage of our botanical knowledge to enhance your enjoyment of New Jersey’s flora. New Jersey occupies a unique position on the North American continent. Bordered by the Atlantic Ocean to the east and the Appalachian Mountains on the west, New Jersey’s landscape is divided into five physiographic regions: Valley and Ridge, The Highlands, Piedmont, Inner and Outer Coastal Plains. This is a substantial number of physical regions for such a small footprint. Within a few hours one can travel from North Hardwoods reminiscent of New England in Sussex County to Southern Mixed Hardwood swamps similar to those of the Carolina’s in Cape May County. Our state is at the intersection of coastal and continental biomes. Our state is the northern and the southern extent for many species, making New Jersey a battle ground of sorts for the plant migration expansion and contraction. The most recent chapter in the story of our flora began in the Pleistocene. The waxing and waning of glacial ice and peri-glacial climates shaped our flora in ways dissimilar to much of the continent. Subsequent alterations in cool and warm cycles, with moist and arid periods provided motives for plant migrations and distribution. The presence of mega fauna then the advent of man, first early Americans followed by European immigrants, produced landscapes that influenced species assemblages resulting in the flora present today. Our geographic position relative to New York and Philadelphia allowed our landscape to be studied as early as any other area in the northeastern North America. A list of botanists who have studied New Jersey’s exciting landscapes would look like a who’s-who in the subject. The draw of our mountainous north and the sandy Pine Barrens in the south, the rich Delaware River valley on the west and the seemingly never ending salt marshes of the Atlantic Ocean’s edge provided people such as Nathanial L. Britton, M.L. Fernald, Peter Kalm, Bayard Long and Witmer Stone endless hours of floral study. This botanical calling continues today with this project. New Jersey’s diverse landscape has been recorded to support approximately 3,000 taxa. 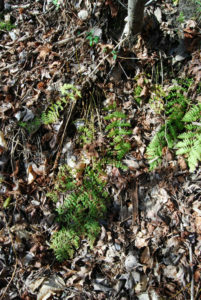 Karl Anderson’s most recent state plant list (2009) identifies 2,790 species and hybrids. This list identified 1,976 as native, the remaining are alien to our landscape. The most recent list provided by John Kartesz (1999) found 3,192 unique taxa within 176 families, 918 genera, 2,890 species, 580 varieties, 224 subspecies and 116 hybrids. The difference between the various totals is based on research, record availability and an ever changing nomenclature. The Flora of New Jersey Project hopes to provide a new understanding of all species, their numbers and their proper names. We hope to provide a separate and hopefully definitive count of families, genera, species and all lower taxa growing wild within our borders. Botanists in the Flora of New Jersey Project are in the process of visiting herbaria to gather information on all plant specimens collected in New Jersey. The herbaria we are covering are Chrysler, Philadelphia Academy of Natural Sciences, New York Botanical Garden, and Brooklyn Botanic Garden. Data collected include taxon (as authenticated by FNJP botanists), collection date, location, habitat, and phenology data. The forms to complete these tasks are available on the Download page. To ensure that our information reflects the current-day flora, the herbarium information will be supplemented with published data and field observations by FNJP members. All information will be entered into a comprehensive database, which will be used to generate distribution maps and dates of flowering and fruiting. We are also using (with permission) information from Mary Y. Hough’s 1983 book, New Jersey Wild Plants (Harmony Press, Harmony, New Jersey). This early State-wide atlas will be supplement with new information and up to date nomenclature, providing an ever evolving Atlas. The Flora of New Jersey Project welcomes and seeks interested individuals or institutions to become official members—and financial supporters—of the Project. For more information download our membership form or visit the Become a Member page.